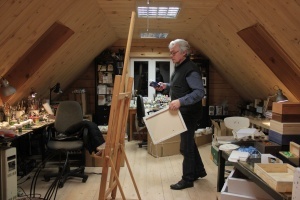 We run studio of art painting ArtWilk since 1983. For those who appreciate beauty, We give wonderful items that delight the eye. 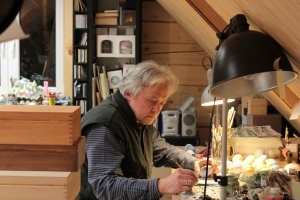 Our passion is realization of unique Works - jewelry, glass balls, easter eggs, paintings and more. The opening of our workshop was preceded by many years of studies and artistic activity. At this time we acquired not only skills, but also shaped our artistic sensibility on the special thing and those worth immortalizing. At the beginning of our artistic activity we mainly focused on painting, by doing landscapes, miniatures and also painting still life, flowers and architecture. Already at that time, our work gained wider popularity - We took part, in group exhibitions in cities such as Ottawa, Hamburg, Chicago, Frankfurt, Milan, Munich, Klagenfurt. In the following years we also started to work on the artistic ornamentation. Nature and landscapes are things that inspires us most - it is they that are the main themes of our works. 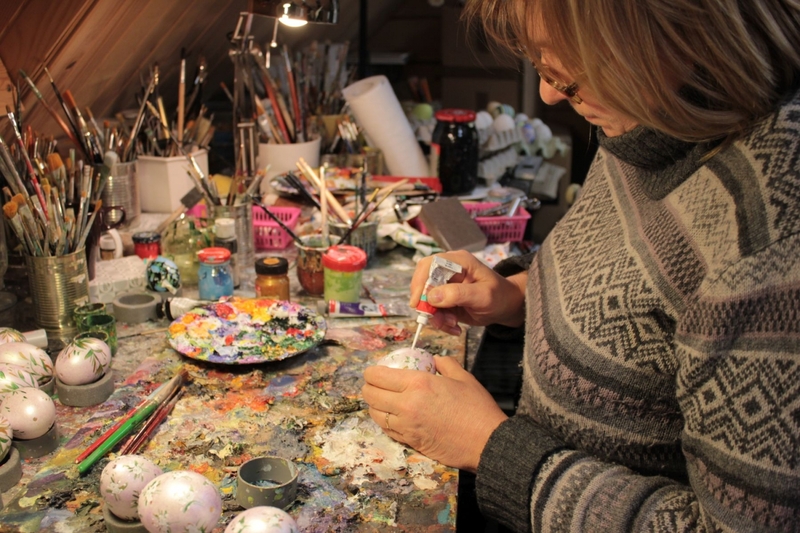 In our workshop ArtWilk are also working artists, who share with us this preferences. Among the works that we prepare and that are very popular, are Polish winter nostalgic landscapes that are hand painted on glass balls. Farther spring landscapes are painted on easter eggs. We also paint images and design elements - candlesticks, napkin holders, chests, trays, cabinets and hand painted wooden jewellery. All things that are offered by the ArtWilk studio are hand-painted. Paints from recognized brands Talens, Ferrario, Rowney. Kozlowski, Talens and Rowney paint brushes, canvas from Windsor and Talens. Frames from Carlson- Piechocki and Ramex. 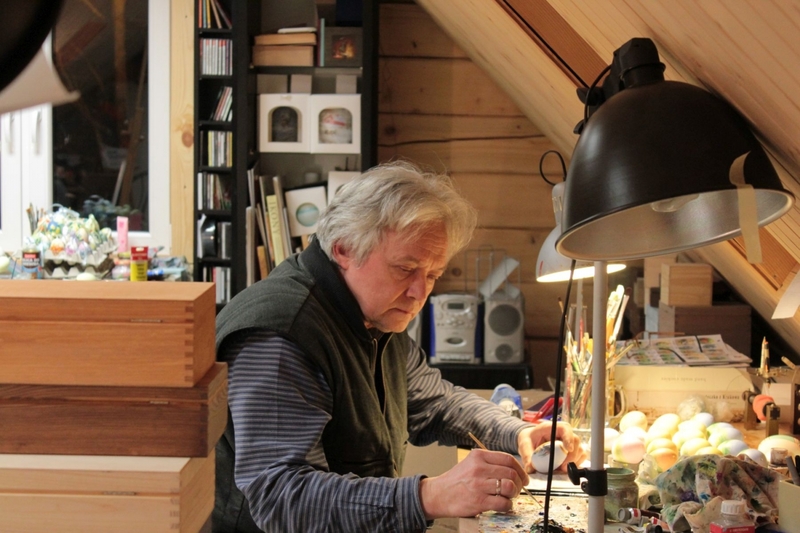 ​blown eggs, glass balls, jewelry and other things have Polish origin and are hand-made by Polish craftsmen. The vast majority of our author's work is painted from nature. 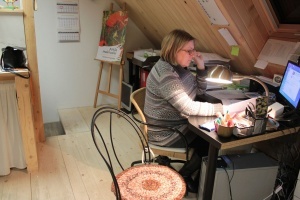 Our studio is located in the middle of beautiful nature reserves, near the woods, fields, streams, this is one of the reasons that we derive inspiration directly from our area, capturing it in the arts. Jerzy focuses on the painting of landscapes, architecture and additional performs copies of the old masters works. Maria mainly specializes in painting plants, floral arrangements using her sensitivity of color. Besides painting we also specialize in the decoration - our talent is visible on a wide variety of unique items - jewelry, glass balls, easter eggs, coffers, ticket booklets. All of them have the characteristic of our workshop style, and can be a wonderful addition to any home or office. In the decorations we refer to Polish folklore and traditions of Christmas, this is why they can be a unique gift. We cordially invite you to take a closer look on our offer in studio ArtWilk! Gallery is open from Monday to Saturday from 10.00-16.00. Each purchase can be picked up personally during opening hours or by appointment made by phone.